Today on the KLAQ Morning Show, we got to interview voice actor Tom Kane. Tom has over 25 years of voice acting experience. He is widely known for his animation work. Notable roles are Jedi Master Yoda and Admiral Yularen in Star Wars: The Clone Wars feature film and TV series. 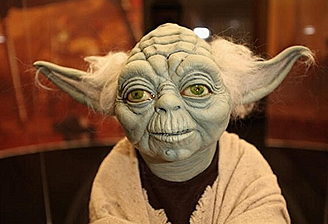 In addition to voicing Yoda, he has voiced lead roles in The Powerpuff Girls, Robot Chicken, Kim Possible, The Avengers, Foster’s Home for Imaginary Friends, Iron Man, The Wild Thornberrys, Wolverine and the X-Men and many more. During the interview, Tom discussed what its like to voice Yoda, his thoughts on celebrities doing voice work and he gave us some examples of the many voices he does. Tom will be in town this weekend for the Sun City Scifi. We'll have free tickets the rest of this week, so make sure you tune in to the KLAQ Morning show.